Lime stone is versatile in various fields. For example, it is often used as building material. Limestone is the basic raw materials of many industrial areas. Limestone is a kind of important material in construction, roadbed, landscape construction, cement preparation and so on. 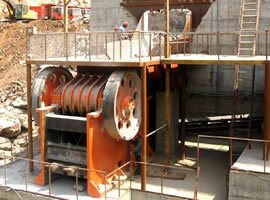 If we want to process and make use of lime stones, limestone crushing plant is definitely indispensible. The design of limestone crushing plant is determined by several factors, including raw material hardness, the percentage of silicon, raw material water content, the recycled size, the required product size, etc. The crushing production line is usually used to break hard lime stones, granite, basalt, river gravel, and a lot of other hard and medium-hard rocks. It has a widespread use in a number of areas of water and electricity, building materials, highway, urban construction, etc. At the production scene of limestone crushing plant, each user wants to reduce the expense on the quick-worn parts. 1. High product quality. The content of the needle-like products is not more than 5%. After the raw ores are crushed by jaw crusher and impact crusher, the content of the needle-like products generally accounts for more than 10% of the total amount. Then, after crushed by the vertical shaft sand making machine, the needle-like content will be reduced to about 4.7%. 2. 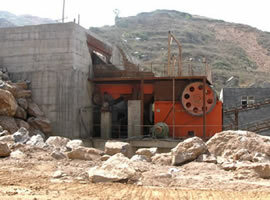 Make use of FTM impact crusher to process the crushing operation, and the yield is improved by 50%. 3. Since we use the impact type crusher as the tertiary crusher, it reduces the wear and tear to the vulnerable parts, which greatly shorten the downtime and the time for maintenance during the entire processing course.